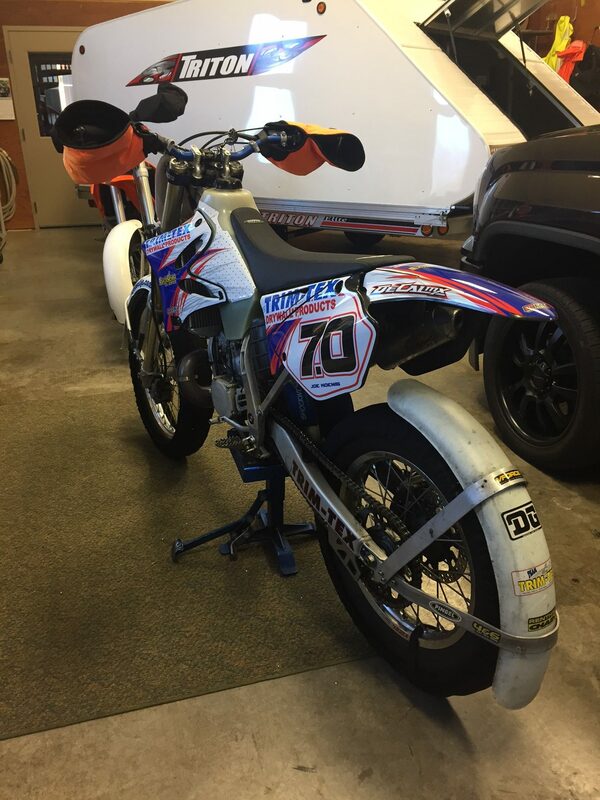 Here at Cycledrag.com we are always striving to connect our readers with the best parts, people and services. 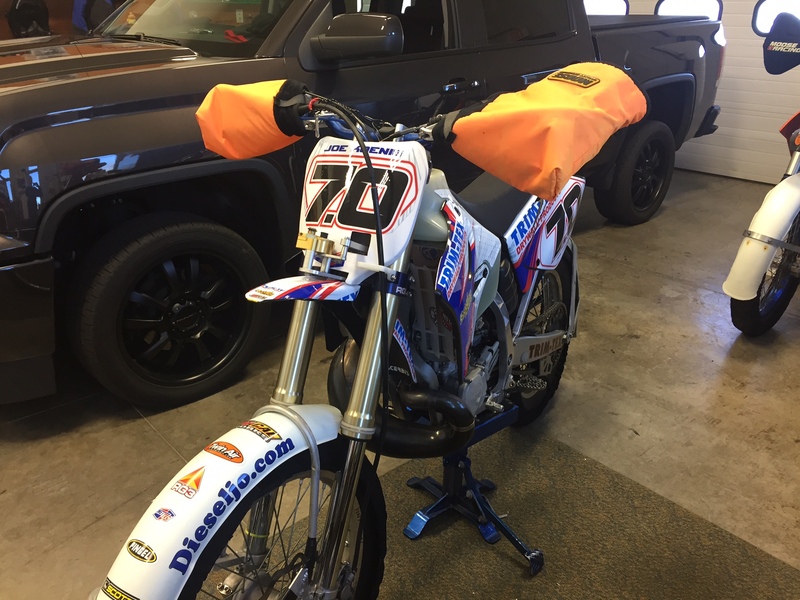 After an ice racing adventure with dragbike racing champion and sponsor “7.0” Joe Koenig we had an idea to give his awesome YZ 250 big bore, 285 c.c., a look fresh enough to match his striking Trim-Tex design on his sports car teams and Larry “Spiderman” McBride’s operation. 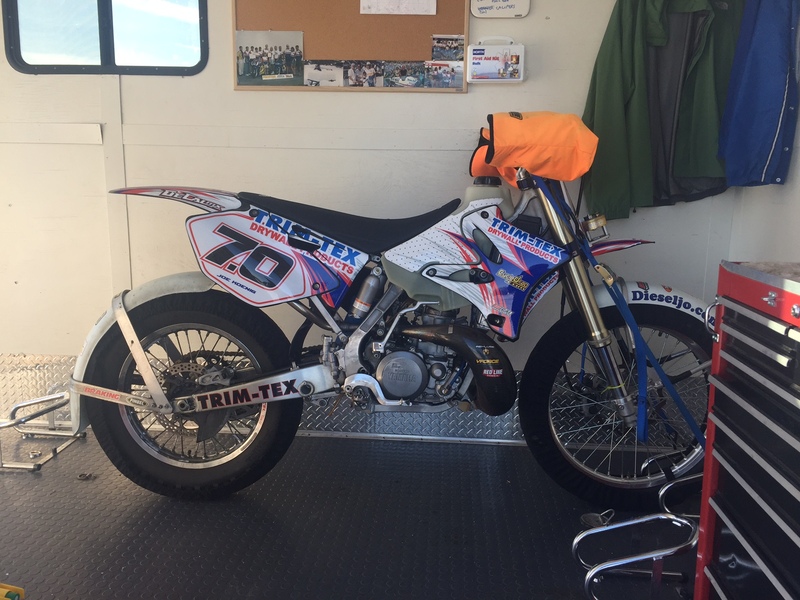 Joe Koenig’s Yamaha YZ 250 (285) ice racer before a graphic makeover. 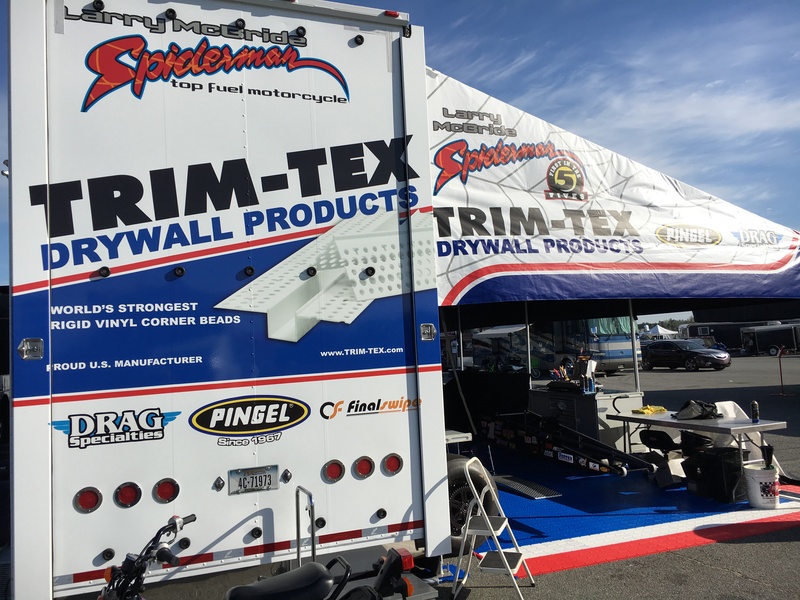 Larry McBride’s beautiful new operation with all the Trim-Tex Drywall Products branding. 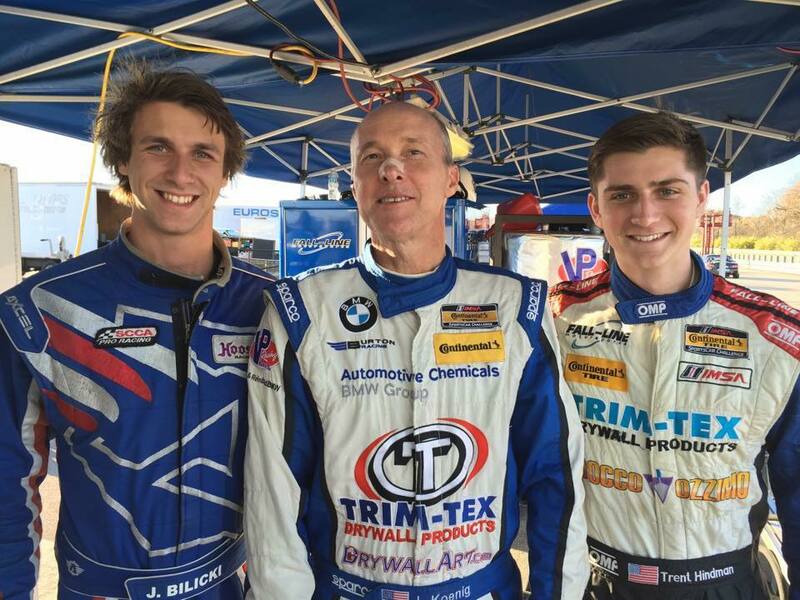 Joe Koenig and Trent Hindman under the Trim-Tex tent. 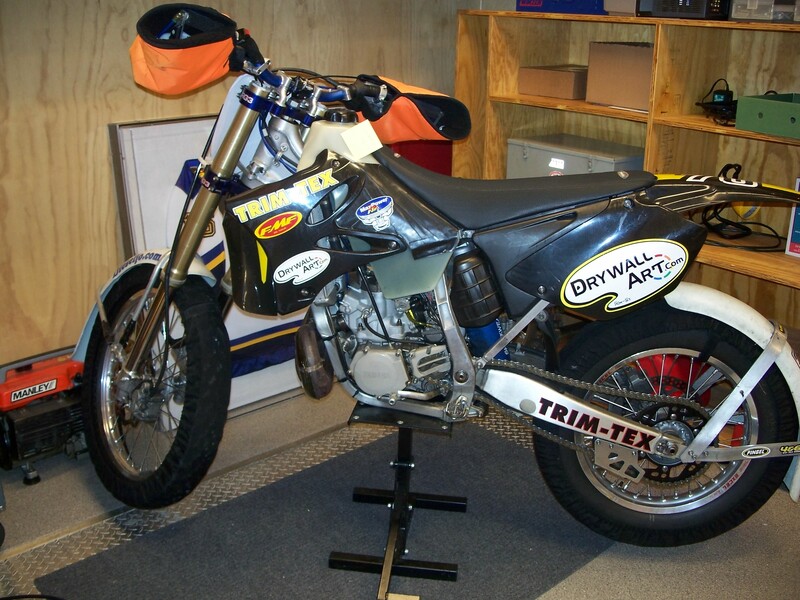 DeCal Works has had a strong presence in motorsports for 25 years. With help from DeCal Works Mike Zont, Ron Joynt and crew the finished product came out outstanding. DeCal Works provides a tool and instructions for easy installation. 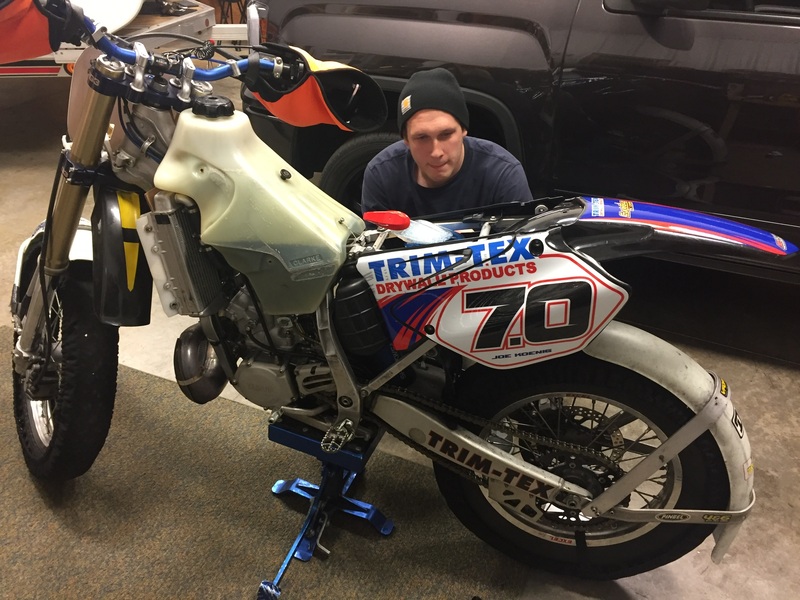 Joe Koenig’s DeCal Works – Trim-Tex – Cycledrag.com YZ 285 starting to come alive with a new look. 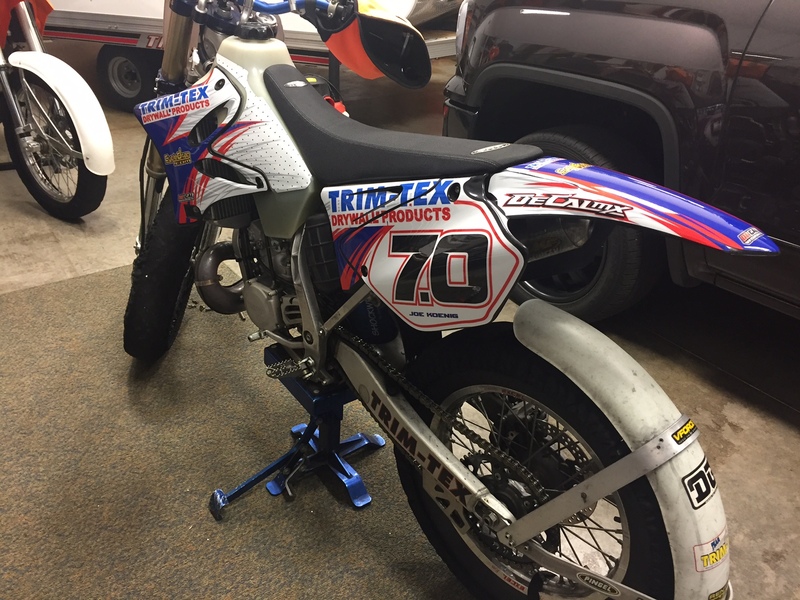 Joe Koenig’s DeCal Works Trim-Tex Ice Racer after the makeover. 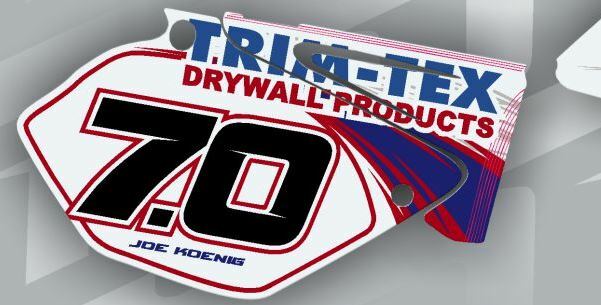 DeCal Works showing off Joe Koenig’s signature “7.0” number – a nickname given to him after setting the AMA Prostar Pro Stock record at 7.04 in 2002. Koenig was able to debut the new graphics on frigid five degree day out on the lake. 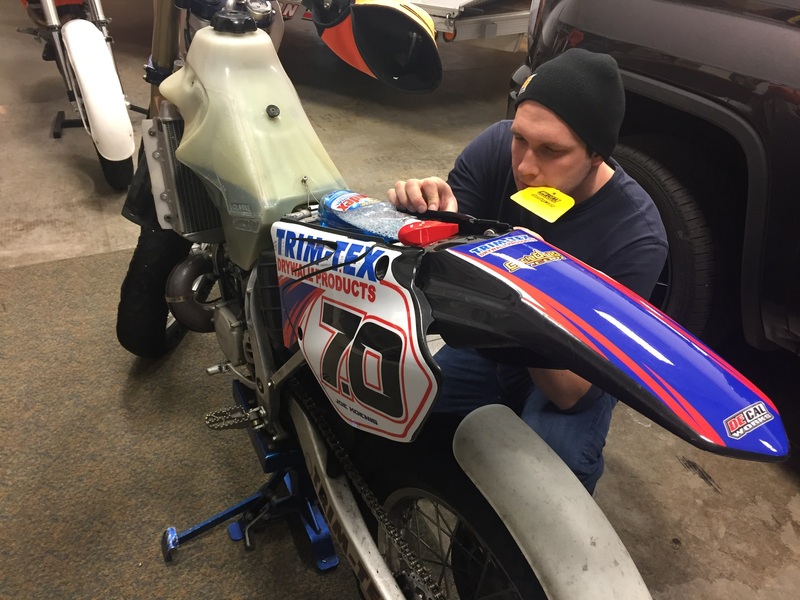 DeCal Works gives the buyer complete control of the sponsor logos on the graphics. 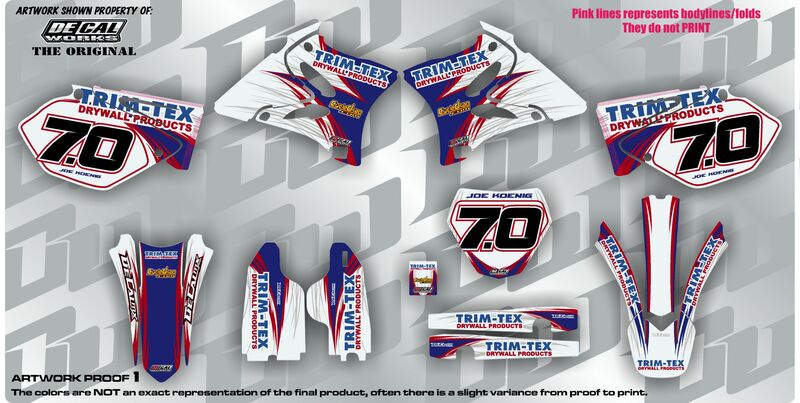 The DeCal Works design studio can create the perfect look for any team.